Watch nearly any movie set in a cold climate, and what will you see? A cheery fire crackling in the hearth with everyone gathered around it, looking so cozy and warm and….healthy. It just makes you want to run into the kitchen for some warm apple cider. 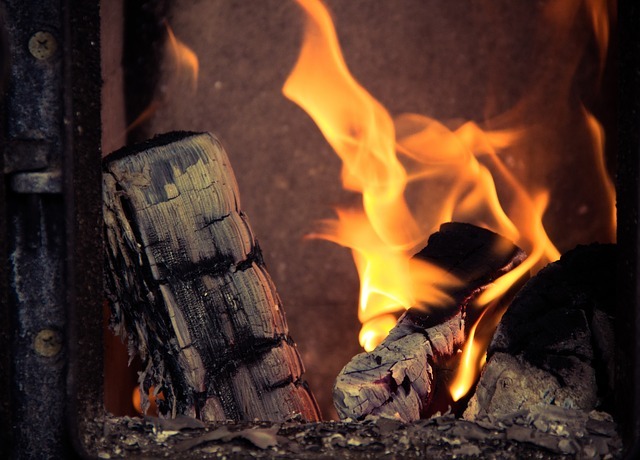 Unfortunately, recent studies show that burning wood as fuel can produce a range of undesirable health consequences, and not just inside the home. The whole neighbourhood can be affected when one home decides to light a log in their fireplace. This comes as bad news for the vast majority of us, since stoking a fire of cut logs is about as traditional as holiday lights and gift exchanges. But this is also why now is the right time to take a look at how wood burning can affect your health, so you have time to consider your options. In this post, learn more about what occurs when a piece of wood bursts into flames and the chain of events that can later impact your family’s health. Trees seem like the most natural resource in the world. What could be more natural and earthy than using real wood to generate heat for your home and family? Probably nothing. However, as the science of air quality continues to advance, we now know lots of things about what wood does when it burns that our prehistoric selves were blissfully unaware of. For instance, did you know that a burning wood log releases each of the following toxins into your air supply? If you don’t even know what most of these terms mean, you are not alone. Luckily, you don’t need to know the specific chemical ins and outs of why each is toxic. You just need to know that these are not elements you want floating into your nostrils and down your throat into your lungs. For the safety of local neighbourhoods, the city of Hamilton issued a ban on outdoor wood-burning activities (except if you apply for and receive a permit to do so). However, no such ban currently exists if you want to burn wood in your indoor fireplace. Here, as with most health conditions, it is the young and the elderly who are at greatest risk of developing symptoms. Family pets can also be doubly sensitive to the effects of a wood-burning fire in the enclosed space of a home. If you or someone in your family already suffers from allergies or asthma, or if your partner is pregnant, it is safest to simply avoid burning wood in the home. If you love your wood-burning fire and cannot imagine going through a winter without it, there is a bit of good news you will appreciate. You can upgrade your fireplace to one of the new low-emission units that is high efficiency to reduce the amount of toxins released into your indoor air. And if you go one better and purchase a unit that has been certified as safe by the Canadian Standards Association (CSA) and the U.S. Environmental Protection Agency (EPA) and that is installed by a professional who holds a Wood Energy Technical Training (WETT) certification, you can feel pretty darned good about using your wood fireplace this winter! Hire a professional to come out to inspect your chimney and clean it before winter each year. Use newspaper and dry kindling to get your wood fire started. Use only well-seasoned, clean wood logs in your fireplace. NEVER try to burn plastic, synthetics, treated wood, refuse or magazines in the fireplace, as these contain toxic elements that will produce toxic smoke. Keep your fireplace free from old, cold ashes and dispose of the ashes in a paper bag (put them in your green bin for collection). Install a carbon monoxide detector to alert you if carbon monoxide levels inside your home rise. Replace the battery in your smoke detector regularly. If you are planning to upgrade to a newer, cleaner, safer wood-burning fireplace, you may want to address the residual toxins that are trapped inside your HVAC system’s air ducts or in your dryer vents. You can have your air ducts and dryer vents professionally cleaned and vacuumed out. This will rid your home of indoor airborne toxins so your family can breathe easier. If you are concerned about the levels of carbon monoxide, carbon dioxide, and the other unpronounceable toxins listed here, an air quality test can quickly determine whether you need to take additional precautions to ensure indoor air quality. Here at Clean Air Solutions Hamilton, we pride ourselves on the work we do cleaning and purifying the air inside our clients’ homes and workplaces. We have dedicated our careers to understanding the impact of toxins on your health, and we are eager to put that knowledge to work for you! Contact us at 905-544-2470 or online.